A group of socialist California labor officials and Democratic Party operatives, led by Los Angeles County Federation of Labor head Maria Elena Durazo, targeted Latinos and immigrants in a deliberate program to permanently drive Golden State politics to the left. This program was revealed in a November 2010 Calbuzz blogpost: Untold Story: How the Latino Vote Hit Critical Mass, by one of its key participants, Sacramento based Democratic Party political consultant Richie Ross. In the post, Ross openly boasts of targeting the Latino community’s fear of anti-illegal immigration measures, to drive the community even further into the arms of the Democratic Party. He explicitly names Durazo, her late husband and labor boss predecessor Miguel Contreras, as initiators of the program. He also states how the couple worked with future California Assembly speaker Fabian Nunez to implement the plan. Beginning in 1994, California began to change. The numbers of immigrants who became citizens grew exponentially each year. According to the Department of Homeland Security’s statistics, prior to Proposition 187, the number of new citizens in California each year had been a steady 50,000 to 60,000. In 1994, the number jumped to 118,567. In 1995, it was 171,285. In 1996, 378,014. Also in 1994, a husband and wife team, Miguel Contreras the leader of the Los Angeles County Federation of Labor and Maria Elena Durazo, then the leader of the Hotel Workers in Los Angeles (later Miguel’s successor at the Labor Fed) began something new: they linked organizing immigrant workers to organizing immigrant voters. And they hired a young immigrant-rights firebrand, Fabian Nunez, as he protested Proposition 187 by carrying the Mexican flag down Broadway in Los Angeles. The campaigns we developed broke new ground, organized new union workers, and increased the political impact Latino voters had on California politics – simultaneously tripling their number of registered voters, increasing the Democratic share of that vote by 50%, and doubling the percentage of the total votes cast in California from Latinos. Through the rest of the 1990?s our campaigns focused on legislative races in Los Angeles. We succeeded. But it was all small. In the 2000s, the team began to play for higher stakes. And all evidence points to their success. In 2000, the message was controversial. “If you want to make a difference, voting isn’t enough. Don’t bother voting unless you sign our pledge to get 100% of your family to vote.” Latino turnout rose… and accounted for 14% of the votes cast according to the State’s voter registration and voting history records. In 2005, over dinner with some friends, Durazo heard a successful Latina businesswoman bemoaning the low Latino turn-out for Antonio Villaraigosa in March of 05. The woman told Durazo that it was “Imperdonable” (Unforgivable). In May 2010, Durazo called us together. Her message was clear. Latinos would end up voting for Jerry Brown. That would be easy. The challenge was how to motivate them to vote at all. ‘Fortunately, the Republicans in Arizona wrote a new law. Latinos accounted for 22% of the votes cast in California. None of us know how much bigger this trend will be. We do know that Pete Wilson’s TV ad got one thing right… “they keep coming”… to the polls. And those Latinos going to the polls, under the guidance of Durazo and organized labor, have made California effectively into a “one party state.” Even once strongly conservative areas such as orange County are slowly falling to the Democrats. While increasing voter participation among selected groups is perfectly legitimate, the key issue here is Durazo’s motivation. The US’ two most significant Marxist groups, the Communist Party USA and Democratic Socialists of America, are both committed to increasing the Latino vote in order to give their allies, the Democrats, a permanent electoral majority. 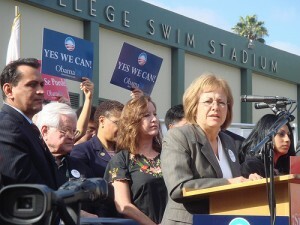 Maria Elena Durazo is closely allied to both groups. Durazo is also well connected to LA Mayor Antonia Villaraigosa and leading California State politician Gil Cedillo, both long time key immigration activists. Durazo, Villaraigoas and Cedillo, all trained under legendary Los Angles Communist Party USA activist, Democratic Party activist and “immigration reform” pioneer Bert Corona. All three have long ties to both the Communist Party USA and Democratic Socialists of America, and coincidentally were all prominent California supporters of presidential candidate Barack Obama and long time ally of both the Communists and DSA. Coincidentally, Corona was promoted and mentored as a young man by another secret communist, International Longshore Worker’s Union president Harry Bridges. It was Bridges who would later advise prominent Chicago communist Frank Marshall Davis to move to Hawaii, where he was employed writing for an ILWU newspaper. Frank Marshall Davis would of course later go on to meet and mentor the young Barack Obama. Durazo, Cedillo and Villaraigosa were all trained at Bert Corona’s radical Centro de Action Social Autonoma (CASA) in the 1970s. Both Durazo and Cedillo were connected to another Corona founded Communist party spinoff, the very influential Mexican American Political Association. 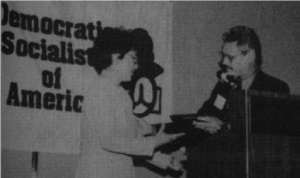 In November 1993, Los Angeles Democratic Socialists of America’s Debs-Thomas Dinner, honored Hotel and Restaurant Employees Union leader Maria Elena Durazo. Los Angeles Democratic Socialists of America was very closely connected to the LA Democratic Party. They were joined by panelists Maria Elena Durazo, president of H.E.R.E in LA, John Nichols of the Madison daily Capital Times, Antonio Villa, (Antonio Villaraigosa) Speaker Emeritus of California?s Assembly, and William Monroe Campbell, of Ministers Against Global Injustice. Lynn Shaw longtime DSA member and vice-chair of the LA County Democrats, chaired the event. 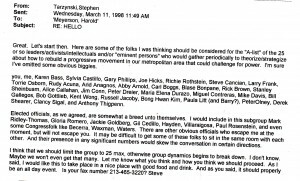 On March 11, 1998, Los Angeles Democratic Socialists of America leader Steve Tarzynski had written an email to his Los Angeles DSA comrade Harold Meyerson. Meyerson, now a columnist with the Washington Post, was one of the first non-Chicago journalists to introduce Barack Obama to the wider American public. Over half of of those listed were members of Democratic Socialists of America. Many on the list, including Maria Elena Durazo, Miguel Contreras, Gil Cedillo and Antonio Villaraigosa, mega-wealthy socialist power broker Stanley Sheinbaum and US Congress members Karen Bass, Xavier Becerra, Henry Waxman and Maxine Waters went on to become the inner circle of the Los Angeles leftist power elite. This group evolved into the Progressive Los Angeles Network, which was formally launched in December 1999. 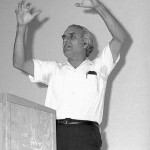 PLAN was founded and built on the success of the 1998 Progressive L.A. Conference which was co-sponsored by a number of local and national institutions and organizations including Occidental College, The Nation Institute, the DSA connected Liberty Hill Foundation, Meyerson’s LA Weekly and Contreras and Durazo’s Los Angeles County Federation of Labor. This movement also helped to propel Antonio Villaraigosa into the Los Angeles mayoralty in 2005. 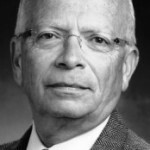 Another Progressive Los Angeles Network leader and prominent DSAer Peter Dreier, of Occidental College, wrote of the Villaraigosa victory and that of another ‘network’ member, current Obama Labor Secretary Hilda Solis, in DSA’s Democratic Left, Winter 2006. Antonio Villaraigosa….He was a union organizer. He worked his way up through the labor movement and then was elected to the state legislature, becoming Speaker of the Assembly. When he was term-limited out of the legislature he ran for the LA City Council and was elected. When he ran for Mayor the first time in 2001 he lost, but he ran again and won in 2005. Now we have a progressive mayor, thanks in large part to this impressive network of grassroots organizations, labor unions and community and environmental organizations. Many of them have lifted up some of their leaders into positions of electoral power. It’s a network of activists that work closely with elected officials, like Congresswoman Hilda Solis, and it’s just remarkable what L.A. has become. Maria Elena Durazo and her labor union and socialist colleagues have changed the face of Southern California forever. As the once Golden State sinks into bankruptcy, Durazo and her comrades will exploit an ever growing Latino voting bloc to maintain power for their Democrat friends, no matter how bad economic conditions become. This is pretty much how Obama won the 2012 presidential election. If he can now carry out his plan to give citizenship to 12,000,000 illegal immigrants now living in the US, the Democrats will have at least 8,000,000 more locked in votes for 2016. All Americans should learn from the socialist takeover of California, because this is the blueprint for the entire United States. Latino immigrants and voters will be one of the key planks of American socialism. Millions of Latinos, who come to America for a better life for their children, are going to exploited by Marxists, labor union socialists and Democrats, to destroy the very country they long to be part of. Unless conservatives and Republicans are prepared to confront this issue head on, the constitutional republic known as the United States of America will soon be gone forever.